Come test out all the latest Profoto gear! 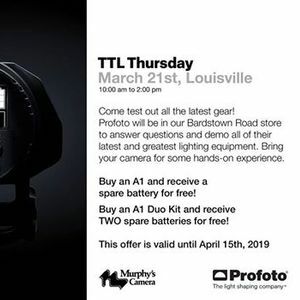 Profoto is visiting Murphy's Camera on Bardstown Road this Thursday, March 21st. They will be bringing demo lighting equipment and answering all your toughest questions. 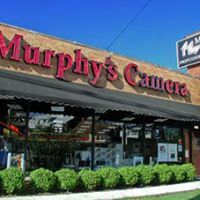 Stop by with your camera for some hands-on experience! Buy a Profoto A1 and get a free spare battery! 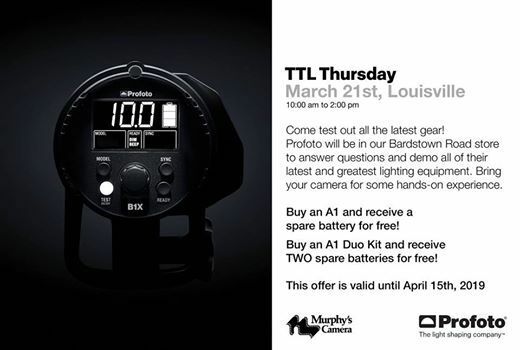 Buy a Profoto A1 Duo, and get TWO free batteries!